Another Sikh man was attacked in central California but police say they are treating the assault as an attempted robbery and not a hate crime. Cheryl Hurd reports. Another Sikh man was attacked in central California but police say they are treating the assault as an attempted robbery and not a hate crime. The Modesto Bee reports the 71-year-old man was walking along a park in Manteca when two men attacked him Monday. 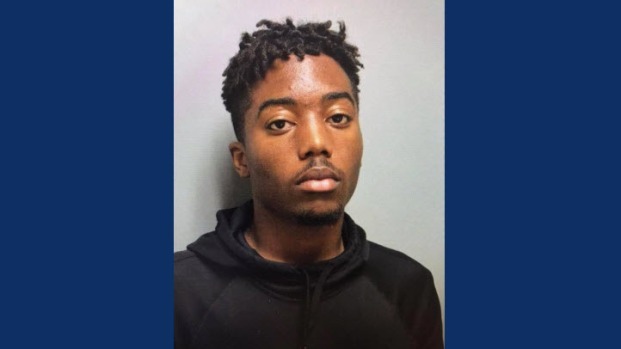 One of the two people arrested in connection with the attack, 18-year-old Tyrone Keith McAllister, is the "estranged" son of Union City Police Chief Darryl McAllister, according to Union City Police Department. 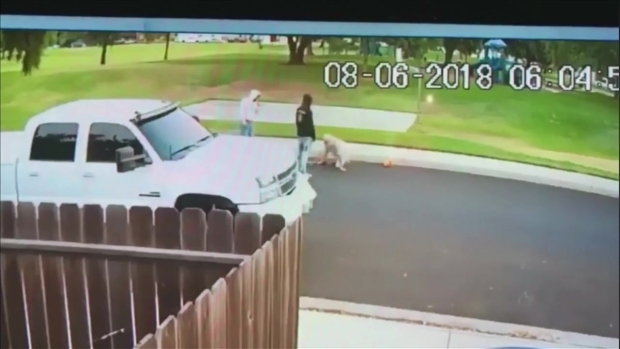 McAllister and a 16-year-old boy were taken into custody and being transported to jail on attempted robbery, elder abuse and assault with a deadly weapon charges, the city of Manteca stated Wednesday. Chief McAllister is "devastated by how much the nature of his son’s actions are such a departure from everything he has stood," according to Union City police. He and his wife worked together to help Manteca police locate their son Wednesday morning. Another Sikh man was attacked in central California but police say they are treating the assault as an attempted robbery and not a hate crime. Anoushah Rasta reports. Surveillance video shows one of the suspects kicking the victim to the ground. After the victim gets up to defend himself, the same suspect kicks him back down to the ground. Police says that the man does not speak English and could not tell officers what the men said to him or wanted. The victim's family on Wednesday told NBC Bay Area it is hard to watch the surveillance video. Last week, two men beat a Sikh man in Keyes and spray-painted a neo-Nazi symbol on his truck in what police are treating as a hate crime. Surjit Malhi says he was putting up campaign signs for local Republicans when two men ambushed him. The Union City Police Department has received inquiries about whether one of the two perpetrators of a violent robbery of an elderly Manteca man yesterday is the son of Union City Police Chief Darryl McAllister. Chief McAllister confirmed that his estranged son, Tyrone Keith McAllister, is one of the two suspects arrested. Chief McAllister’s status as a law enforcement leader has no bearing or relation to the case whatsoever, but he is devastated by how much the nature of his son’s actions are such a departure from everything he has stood for in his personal life and 37 year career of compassionate, engaging police work. He and his wife worked with Manteca PD to help track down and arrest Tyrone this morning, as Tyrone has been estranged from the family and their home for some time. Chief McAllister expresses deep concern for the victim and the victim’s family and he remains steadfast that his son, an adult, must be accountable for his actions.